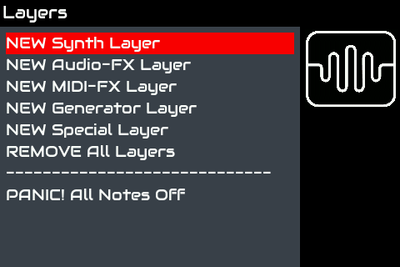 Remove All Layers => Remove all layers, returning to the initial state. 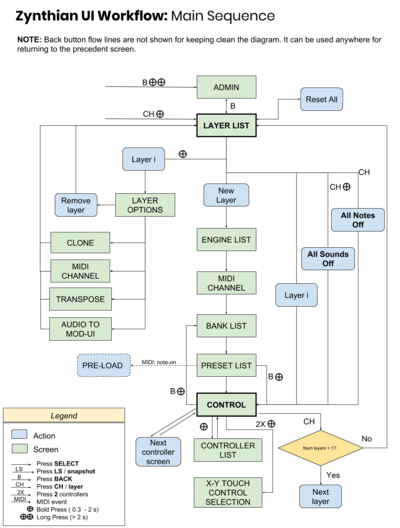 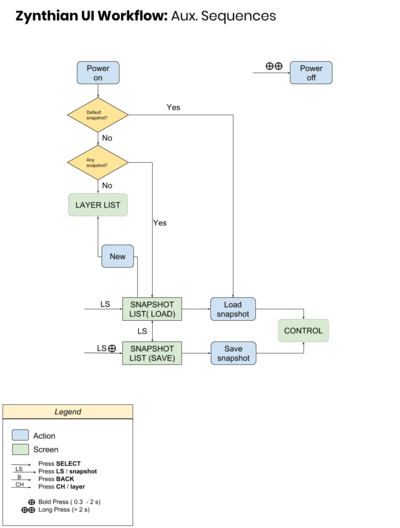 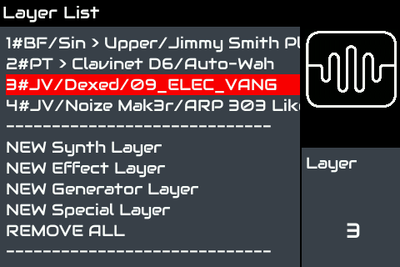 Audio => MOD-UI => route the layer's engine audio output to the MOD-UI audio input, allowing post-processing the audio signal. 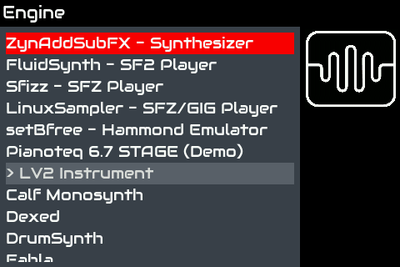 You can use this feature for creating your own customized FX chains. 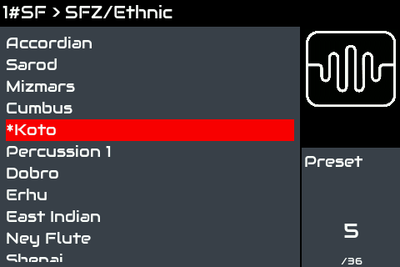 setBfree: This engine ALWAYS creates 3 layers assigned to different MIDI channels (1, 2 & 3), each one corresponding to the upper, lower and pedals sections of the Hammond B3 emulation. 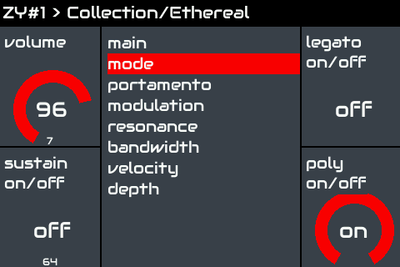 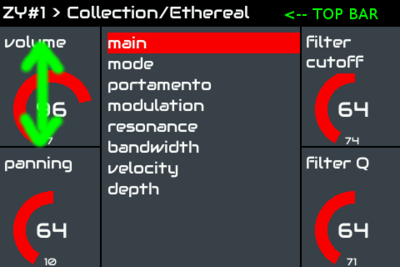 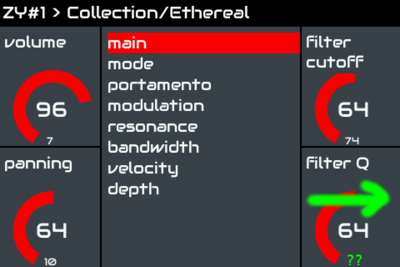 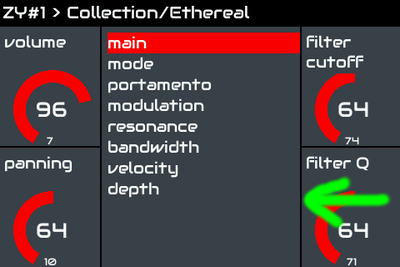 Aeolus: NORMALLY 4 layers are created, assigned to different MIDI channels (1,2,3 & 4), each one corresponding to the 3 manuals + 1 pedal of the Aeolus default instrument definition. 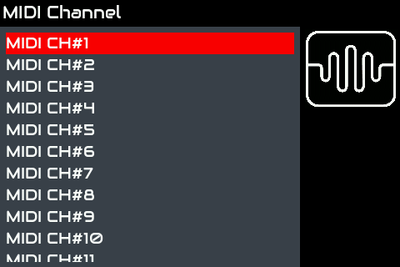 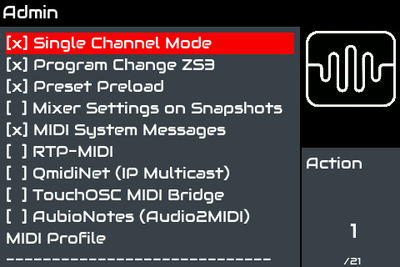 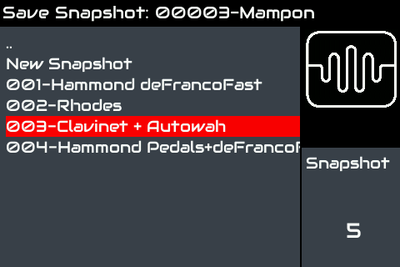 You can change the MIDI channel assignments from the Aeolus native UI. 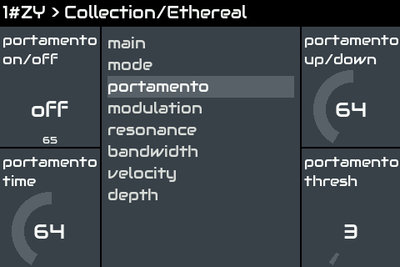 When using a different instrument definition, you have to tweak the engine's code a little bit. You can "emulate" the switches by tapping the controller widgets (squares in the 4 corners of the screen). 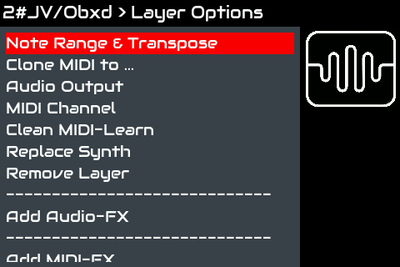 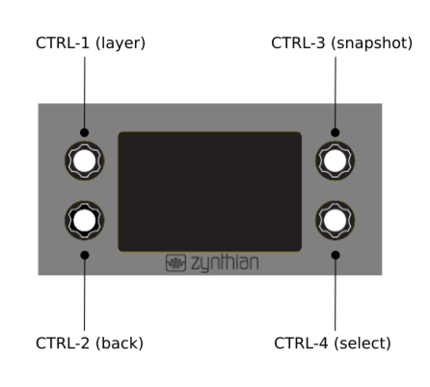 There are short, bold and long actions -- exactly the same workflow as with hardware knobs. 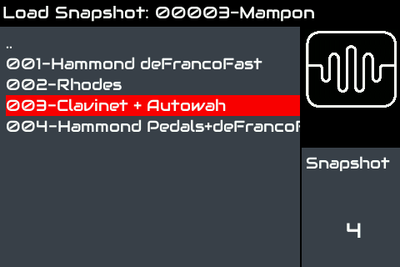 The only screen that currently shows the 4 controllers is the "Instrument Control" screen, so some features are only accessible from there. 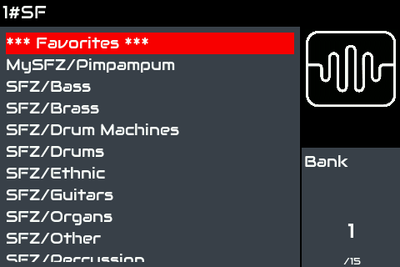 When the "back" widget is not available, you can go back by tapping the top bar.